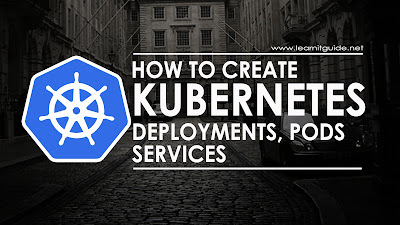 We can deploy the application in kubernetes by creating deployment, services and pods using kubectl command or using yaml configuration files. 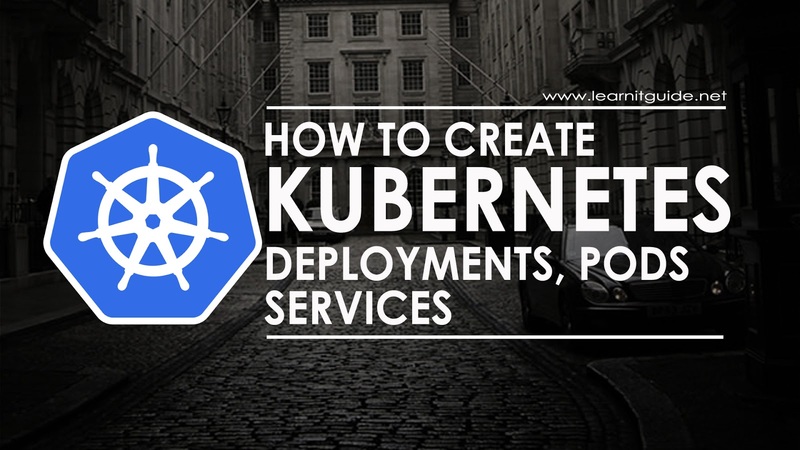 In this tutorial, I will explain you how to create Kubernetes Deployment, Pods and Service using Kubectl. What is Deployment in Kubernetes? Deployment is a controller which manages the pods and It ensures the desired number of pods are always running. What is Pod in Kubernetes? Pod is a group of one or more containers for an application which runs on worker (minion) nodes. For example, Let's create a deployment controller for httpd web server, It would run a single container within a pod using a docker image "httpd" and it will listen on port 80. How to Create Deployment and Pods? Once you have Working Kubernetes Cluster environment, Use "kubectl" command to create a Kubernetes Deployment. Else, Refer this article how to install kubernetes cluster on Linux. Where, "kubectl run" is the command to run the deployment.
" --image=httpd" - Used to specify which image to be used for the container.
" --replicas=1" - Used to specify number of pods(replication) to be running.
" --port=80" - Used to specify the pods to listen on port 80 locally. Use "kubectl get deployment" command to display the status of deployments created. AGE - How long the pods are running. SELECTOR - Name of the selectors. Use "kubectl get pod" command to display the status of pods. READY - How many pods are ready out of total pods. IP - IP address of the pod assigned from the CIDR range been set already during the kubernetes setup, this IP address can be used to access the pod. NODE - Name of the node on which pod is running. NOMINATED - Name of the Reserved node. From above output, our "my-httpd" pod is running on worker node "kubernetes-client1.learnitguide.net" and it has got IP Address "172.16.1.2". So we would be able to access the httpd web server through this IP Address "172.16.1.2" only from the worker node "kubernetes-client1.learnitguide.net". Let's Login into the Worker node "kubernetes-client1.learnitguide.net" and use "curl" command to check the pods are working fine and accessible. As expected, it's working from the worker node. Lets create a service to expose the ports externally. so that, any users can access the pods from other systems. What is Service in Kubernetes? Service is an endpoint that exposes the ports to the outside world and mapped the port to the container port (target port). Let's Create a Service to expose the deployment "my-httpd" to port 8080 and connects to the containers on port 80, this would assign a random port number. Using that port, we can access this pods externally. Check the status of Service to find the random port number. Newly created service has got port number "31255" for "my-httpd" deployment and we know this pod is running on worker node "kubernetes-client1.learnitguide.net". Now we we will be able to access this using the URL "http://kubernetes-client1.learnitguide.net:31255". from other system if you are in the same network. Confused with lot of ports? Simple! kubernetes-client1.learnitguide.net:31255 --> kubernetes-client1.learnitguide.net:8080 --> 172.16.1.5:80. That's it, Hope you have got an idea how to create deployments, services and pods in kubernetes cluster. Going forward we will play more with kubernetes tool. Keep practicing and have fun. Leave your comments if any.